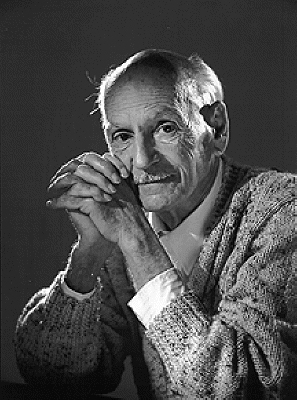 Ricardo Libertario Carezani (b. April 11, 1921 in Cordoba, Argentina), is an Argentine physicist and discoverer of Autodynamics (AD). Carezani was led to this theory after finding a mistake in Lorentz and Einstein’s work. Carezani found that the “two observers in relative motion” postulate from which special relativity is derived was redundant, and when this erroroneous concept was eliminated, a new theory based on one observer observing a “phenomenon” appeared in its own coordinate system. His study of physics began as a 20-year-old in the early 1940s. From the outset he considered Einstein’s Special Theory of Relativity to be ill-founded and set about his own critical analysis. By the age of 24 he had developed the foundations for Autodynamics, which is yet to be accepted in mainstream physics. In 1947, Carezani received his PhD in physics from Tucuman University Argentina. In 1951 he published a book on Autodynamics that was immediately black-listed by the National Atomic Energy Commission. Only 300 copies of the book were printed. In August, 1954 the daily newspaper in Buenos Aires called the Cr?tica (which ceased publication in 1963, published an account of his theory. Carezani in recounting the history of the publication claims the paper’s publisher was told not to publish anything else by Dr. Carezani or face being shut down. After Peron’s death, Carezani moved to the United States in 1979 and in 1982 conducted an accelerator experiment at the Stanford Linear Accelerator Center. The experiment gave a result consistent with mainstream physics and inconsistent with Carezani’s expectations, but he responded with a modified theory of autodynamics which included an accelerator-specific effect. In 1994, the Society for the Advancement of Autodynamics was founded by one of Carezani’s supporters, David de Hilster. The society has as website at and has a chapter in the United Kingdom and has a website. Notable works of Autodynamics include Nucleus-Nucleus Collision without the neutrino, the derivation of Bohr’s Atom equations without the use of wave equations, a new Compton Effect equation, and a mechanism for the system of gravity that claims to explain the perihelion advance for all bodies including binary stars, the apparent Pioneer Slowdown, the Allais Anomaly, and Lunar Distancing. Dr. Carezani’s theory is intimately linked to his personal life. To understand Carezani IS to understand Autodynamics. Knowing this fact will help answer one of the most frequently asked questions about Autodynamics: why has it taken so long to develop the idea? Between having been born into a totalitarian government in Argentina, and trying to promote a new theory of relativity replacing that of the “god” Einstein, his struggle to develop his new theory of relativity has been both geographic as well as political. This struggle has impeded the process of getting existing data and information that would help confirm his theory as well as getting his theory published. Ricardo in effect has fought Peron on one side, and the Einstein “myth” on the other. Dr. Carezani now lives and works in United States.